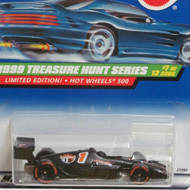 8/12 from the 1999 Treasure Hunt series. 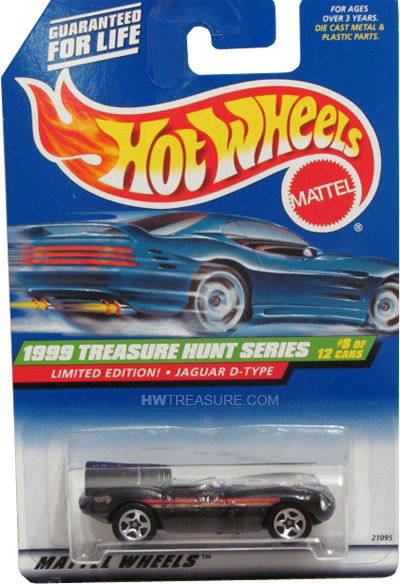 The Jaguar boasts black metalflake paint with the TH logo on the front and sides, as well as the Hot Wheels logo and red, gold, and black stripes on the sides. 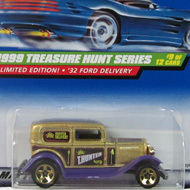 It has a clear windshield, gold interior, 5-spoke wheels, and a black metalflake Malaysia base.